Message me with any custom ideas or larger/wedding orders! In love with an item that sold out? Message me and I may be able to replicate! Perfect! Looks exactly like the posted photo. thanks so much! Kansas meets Oregon! Gorgeous Wedding. Hi & welcome to my shop, St. Sorlin Street! 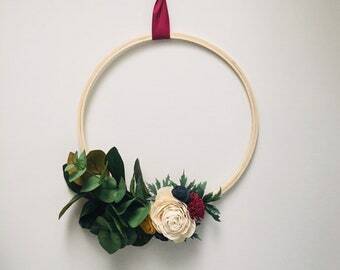 My main love is creating wreaths, bouquets and other home decor pieces with sola wood flowers. Sola flowers are made from a light, soft, paper-like wood that comes from tapioca plants. These flowers don’t wilt and they don’t require water. 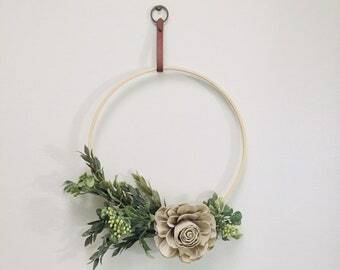 Loving a piece, but needing a tweak on colors or flower style? No problem. Custom orders are always welcome. Send me a message! Hi! I’m so glad you stopped in! I’m Michelle, the heart & soul behind all the pieces sold here in my shop. These flowers are the calm to my crazy. I live in Kansas with my husband, large tabby cat, two sweet and energetic boys, and rescue pup Olive!